Transform your business raw data into the real visual knowledge with our Custom Business Intelligence Solutions. We can help turn your data into actionable insights through our custom developed business intelligence solutions using cutting-edge technologies. We are a team of experts in consulting and developing Business Intelligence solutions. We offer our customers with the best available quality solutions to ensure customer's business competitiveness in the market. Our BI specialists are ready to share with you their experience and industry best practices, presented in comprehensive case studies. Data-driven software solutions are the core principal of our consulting service. We design and develop advanced and effective systems that transform regularly stored information into concentrated information. Our multi-functional Business Intelligence solutions cover the processes of data mining, storing and handling and also introduce intelligence into a corporate business workflow. Teplar's business intelligence consulting services are instrumental in facilitating the execution of a client organization's business intelligence/data warehousing initiative at the various stages of its life cycle, through its low risk management, high impact, short cycle, diagnostic and assessment studies. At Teplar, our system BI implementation services, strengthened by our transformation methodology, delivers exceptionally efficient results. Teplar's Business Intelligence Implementation Services span the entire range of BI solutions from data management, reporting and analytics. At Teplar, we are providing a wide range of business intelligence dashboard services, which showcase the latest status of metrics and Key Performance Indicators (KPIs) for a business organizations in a BI dashboard. The necessity for BI migration services arises from changes in business demands or technology challenges. Teplar provides data warehouse migration, BI migration and version migration services. Data governance as implied by the term, focuses on the management of quality, consistency, usability, security and availability of the information within the business organization. We provide persistent 24x7x365 services for BI support and maintenance services. Teplar services range from critical on call services to dedicated end to end software application support. Teplar helps organizations to build, deploy, and maintain secure business intelligence solutions. Our engineers create scalable and manageable software products using a full stack of business intelligence technologies and tools. We also integrate and customize the existing BI software to give our clients flexible solutions to solve their business problems. Why TEPLAR for Custom BI Development? 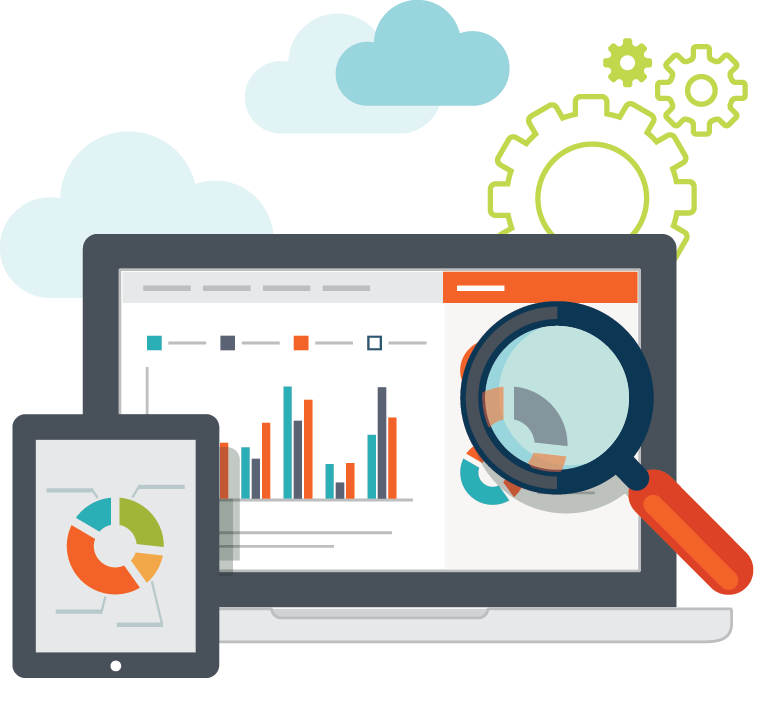 Our BI specialists are adept at providing powerful and scalable BI development that can work smoothly and continuously with other 3rd party systems as well and take utmost care of your data, turning it into valuable information.